Design too large in both x and y. Designer tiled it in quadrants. Printed on PET to work out the bugs for eventual kapton print. PET Tape behaved pretty well. Kapton tape with adhesive did not! Probably should have known. 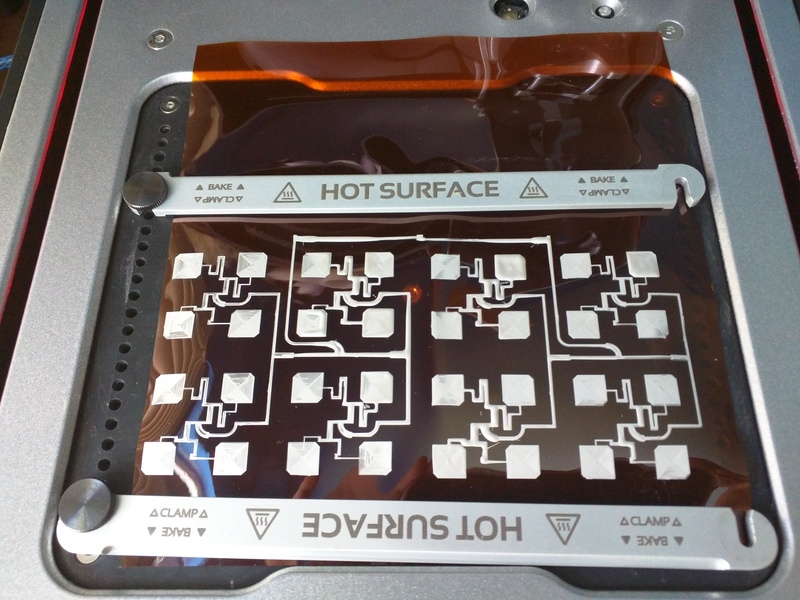 I think the release layer shrank in the heat while the Kapton did not. Kapton so far. It seems kind of inconsistent across the print. The ink is really runny and some parts are too thick and some too thin. Smaller nozzle? Some other sort of process problem? I’d put my money on this being a print-height issue, specifically related to the kapton not being completely flat. The ink being too thick in some parts and too thin in others indicates that the nozzle comes too close to the flex substrate to adequately dispense ink (thin sections), which in turn increases the backpressure in the cartridge and leads to over-dispensing when it moves away (thick sections & pooling). 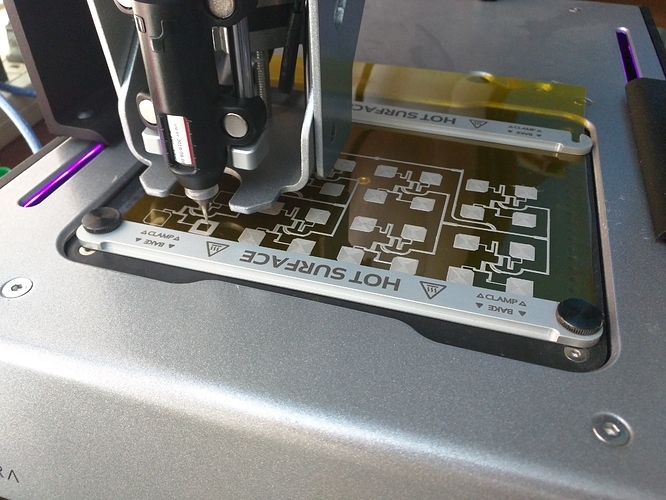 The reason this happens is that we use a touch probe to detect the substrate position and to calculate the printing offset height. If the kapton has air pockets underneath and isn’t completely flush, the probe will just push the kapton down until it triggers against the solid surface underneath, which will give an inaccurate print height offset when it’s time to print. Keeping the substrate flat is critical if you want to get a good print on flex, and clamps alone aren’t usually going to do a great job. 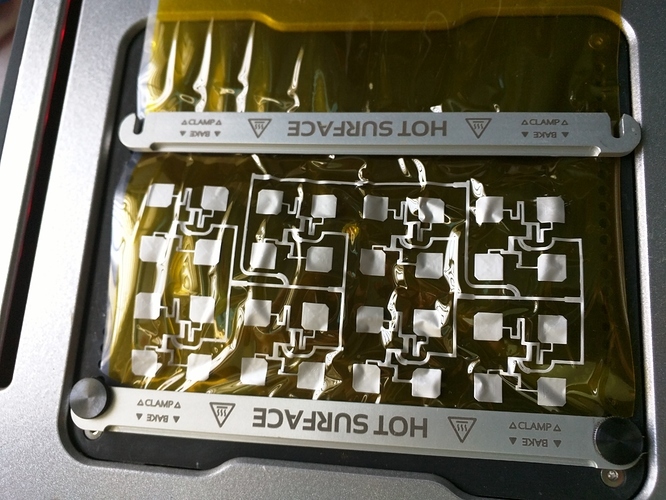 I generally recommend either using adhesive-backed kapton (like this one from mcmaster-carr), or cutting the kapton to size then taping down the edges to a 4x5 substrate with kapton tape. If you opt to tape the film down, and the film has a curvature to it, make sure you have it curving outwards and away from the substrate before taping it down - this will ensure that there is no bulging in the center. 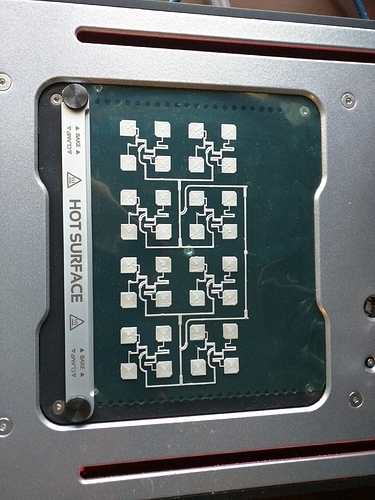 After mounting the substrate, carefully inspect it for flatness and check for air pockets underneath. 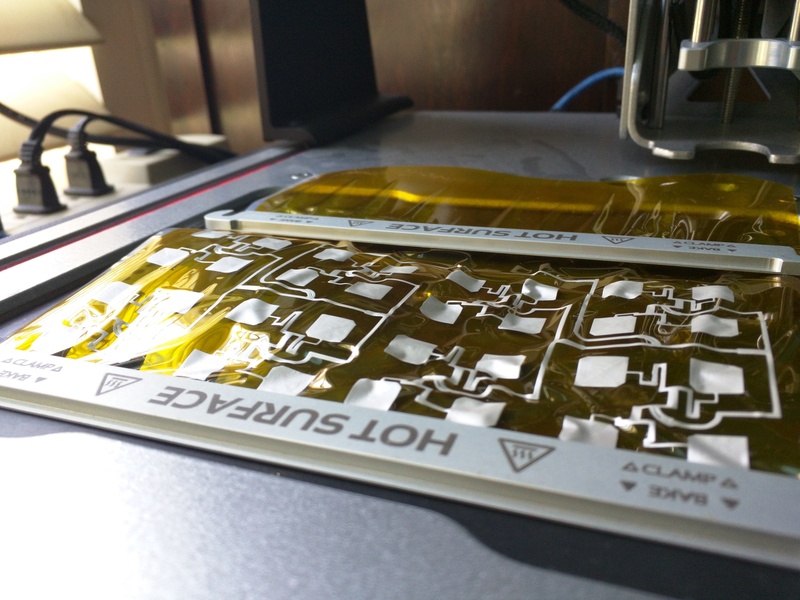 With a substrate like kapton, you can easily check for flatness in a bright room by looking at your reflection in the substrate and checking for any distortions.